Staying healthy is something that all Canadians want to do; however, it doesn’t always work out the way we planned it. Today’s hectic work schedules, managing our families and our always-on-the-go approach to life often leaves us little time to prepare high quality food at home. This leads to people making low quality food choices and opting for food that is more convenient than healthy. Poor food choices will have an impact on your level of energy and overall quality of life, leading to health issues for many of us. You food choices matter a lot when you have diabetes. What you choose to eat can and will impact your health. In general, people with diabetes need to stay away from sugar and refined flour, things that are often found in white breads and pasta. When you eat these items, it negatively impacts your blood sugar level. 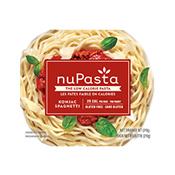 How NuPasta can help: NuPasta can help control your blood sugar level because it has attributes that extend the time required to absorb carbohydrates (from other parts of your meal) into you body, helping to reduce spikes in your blood sugar level. Obesity continues to be an issue with Canadians of all ages. We as a society are eating too many calories, and too many refined sugars and carbs. As part of a proper weight management plan, we need to make healthier food choices, cut out unnecessary snacking and get our portions under control. 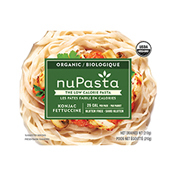 How NuPasta can help: NuPasta is low calorie, low carb, and high in fibre – three things that people need to help control their weight and eat healthily. Making NuPasta part of your diet can help you lower your caloric intake and increase dietary fibre. There is no shortage of people who have a gluten intolerance, and many others are opting for gluten free diets. However, the problem is that there are very few high quality and tasty gluten free pasta alternatives on the market. 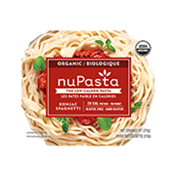 How NuPasta can help: NuPasta is gluten free, making it the perfect pasta alternative for people with a gluten intolerance or for people with celiac disease. Bowel irregularities are more common than most think. In most cases, people experience these issues because they have a poor diet and lack the proper amount of fibre in their diet. 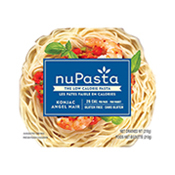 How NuPasta can help: NuPasta is a great source of dietary fibre. Each serving has 6 grams of fibre, and it is made with konjac flour containing the water soluble dietary fibre glucomannan. As with many food items that contain dietary fibres, glucomannan can help regulate bowel movements. 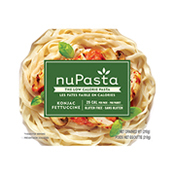 Whether you have one of these health issues, are looking to make healthier food choices or simply want to try out an alternative to pasta, NuPasta is a healthy option that is easy to prepare and it tastes great. You can purchase NuPasta at these store locations and make it part of a balanced diet.